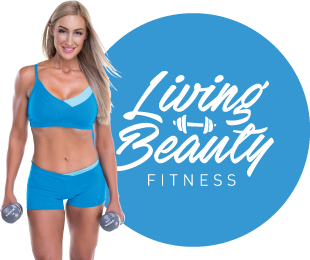 I recently put the call out on the Living Beauty social media accounts, asking you to submit the questions you’ve always wanted me to answer. The response was overwhelming! Thank you to everyone who asked a question. I’ve really struggled with both of these this week and feel like I’ve eaten more food than I should! Especially in winter the body is trying to keep warm and it’s natural to want comfort foods. I suggest switching up your home cooking menu to include soups, stews and slow cooker staples like a chicken curry or lamb and vegetable dishes. Green vegetables are free foods so I recommend increasing your volume of veggies, but if you’re unsure how much to eat, try using digital scales for a few weeks to weigh 200g portions of cooked veggies for your lunch and dinner meals to ensure you are eating enough. In summer, foods are lighter and I suggest making the most of delicious salads which include fresh leafy green veggies, cucumber, cherry tomatoes and baby carrots. Cold smoothies including protein powder are also a great boost between meals. It is also easy to skip drinking water, and thirst can be confused with hunger. Add caffeine-free herbal teas – for example, lemongrass or ginger tea – and invest in a super-sized tea cup, as water in your tea counts towards your daily water quota. Sweet cravings can be crazy at that time of the month. The best strategy is to give in once a week and have whatever you want whether it be chocolate, a slice of cheesecake or whatever you like! The key is not to eat chocolate, sweets or cakes every day as these will push up your calorie levels and halt your progress. Cravings are best conquered with willpower and you will find that like anything in life, if you have to wait for it, you enjoy it more! In the morning, I shower using Sukin Shower Gel (or the Thank You brand) and moisturise with Sukin Body Lotion. I use makeup including foundation from Laura Mercier, powder from Bare Minerals, eyeshadows from MAC and mascara from Lancome. My hair is normally in a ponytail to instruct my personal training or pilates classes. At night I double cleanse my skin with Sukin Cream Cleanser, take off eye makeup with Clarins eye makeup remover and moisturise with Janesce rose serum. If I have a photo shoot I use a tan from Tan By Lucy Lane and this is their violet base. Overthinking food can be a vicious cycle and a trap that many people fall into. Many women that ask me for advice are under eating and relying way too much on meal replacement shakes, coffee and then feeling guilty because they are snacking on processed foods and can’t stop thinking about chocolate or other sweets. Many people are not feeding their body enough nutrients so the body is constantly sending signals to eat more! I suggest planning out meals so you eat 5 small meals a day. This is all about drip feeding your body nutrients. You can read this blog post to see what I eat in a day. This is a good question as I used to work in a corporate role. I was a Marketing Manager in a law firm and reported directly to the CEO, so my life was hectic and I still ran Living Beauty Fitness at the same time. My tips for working in the corporate environment are similar to what I advise my clients in other jobs, whether it be a shift worker such as a nurse or police officer or a business owner who also has children. Map out your week and plan 3-5 workouts. If you need to cancel them you must reschedule. Workouts can fit anytime – be it 6am on a weekday, during your lunch break or on the weekend. Workouts can be shorter than an hour, the main thing is to have a program to follow and a purpose. If you are extremely busy some weeks, you may shorten workouts to 30 minutes but aim to increase this to 60 minutes on a not so busy week. If you are after maintenance, 3 workouts a week is fine, however if you want to transform your body dramatically or lose a stack of body fat, 5-6 workouts a week are required. Eating healthy is a mindset and what you consume directly impacts how your body feels inside and how you look! When I get home from the supermarket, I wash and chop a heap of fresh produce including broccoli, snow peas, spinach and kale and line bowls with paper towels, then cover with cling wrap to keep them fresh. This cuts down meal prep and cooking time. Also, as veggies are free foods, even if you have nothing in the house for dinner you can always add a can of tuna or some lentils or beans, and dress with a beautiful olive oil, balsamic and chopped almonds – and you have an instant meal. This will beat the temptation to crack open a red wine and order a pizza! Washing, cooking, cleaning, going to work, exercising, sleeping, meal prep, socialising, studying… whatever you have to get done – get a planner and plan out your time. One of my best tips is to do your most important task first before checking emails every morning. Every Hollywood star is doing it, whether it’s Kylie Jenner with pumped up cheeks and lips in her 20s to Jane Fonda smoothing those wrinkles in her 70s. My opinion is to do whatever you want with fillers and Botox, but do your research and never go for the cheapest. If you want to try it, go ahead, but understand that there are many variations in qualifications. I would be looking for someone who has 10+ years experience and at a plastic surgery centre (note Plastic Surgeons have much more qualifications than Cosmetic Surgeons). I would also prefer a medical environment rather than a beauty salon, but that’s just personal preference. I would be looking for someone who has 10+ years experience and at a plastic surgery centre (note Plastic Surgeons have much more qualifications than Cosmetic Surgeons). I would also prefer a medical environment rather than a beauty salon, but that’s just personal preference. I have tried lip fillers and I absolutely hated it. This was 10 years ago and I am sure things have improved since then, but all my friends and family said I look better without it. I have also tried Botox or something similar to smooth out frown lines but it is super expensive and again something I would treat with caution and find a very qualified practitioner, as they can make mistakes and cause your eyes and eyebrows to droop. And no one wants to look worse than when they started! My fave picks are salads from Thrive Bowls and most capital cities have their faves for example in Adelaide, we have Nutrition Republic, Argo or Jack Greens. Seek out your healthy cafes’ and ring them in advance with your takeaway order. If you are at a supermarket they have some awesome salads in the fruit and veg section and I will either buy a cooked chicken and take the skin off or add a can of tuna on top. Always think natural fresh produce, so the supermarket is your best option and go to the fresh produce section. I also carry little snap lock bags of The All Natural Company protein powder with me to make a protein shake on the go.